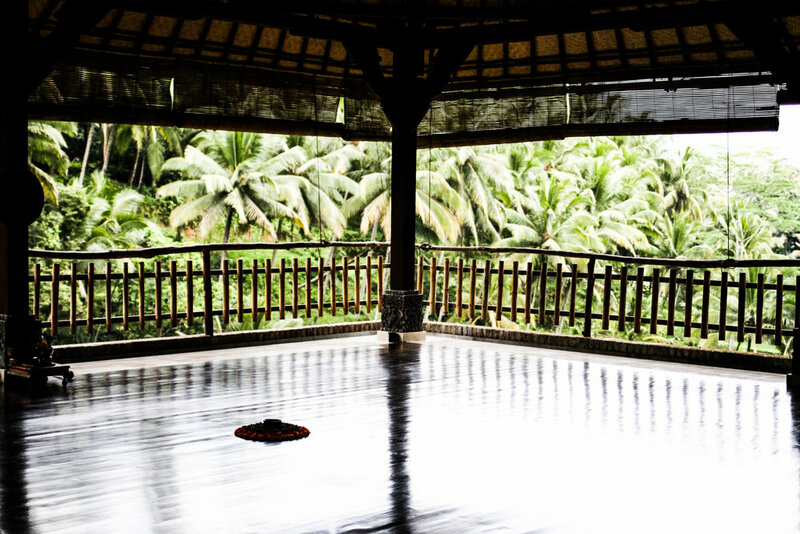 One World Ayurveda in Bali is a retreat to completely immerse you in ancient Ayurvedic therapies that will leave you feeling totally renewed in the most energetically grounding and balanced way possible. 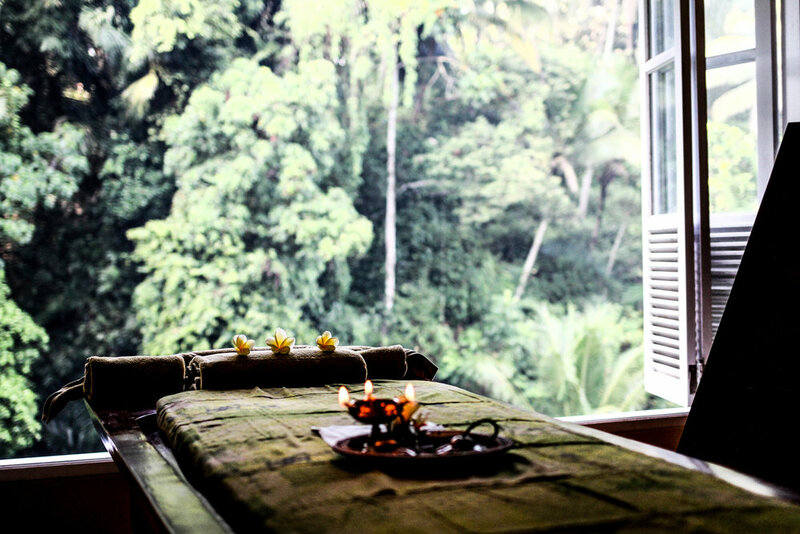 The Panchakarma retreat, described as “the ultimate and most effective healing experience in the science of Ayurveda” is truly the most transformative detox and retreat I have experienced, as it encourage healing on a holistic level - mind, body and soul. Truth be told it was a NEXT LEVEL experience which is why I'm SO EXCITED to share a little more with you in this review. Please know that this is just a sneak peek into the One World Ayurveda offering... you really do need to experience the retreat for yourself to be able to comprehend, appreciate and FEEL the profound impact it can have on your overall wellbeing. "Ayurveda – The science of Life. Ayurveda is the time-tested, natural, prevention-oriented and holistic health care system of ancient India. It advocates that living in harmony with nature and maintaining harmony between body, mind and spirit contributes to a long and healthy life. Any imbalance in this harmony results in disease. The focus of Ayurveda is on preventative and curative aspects. Every individual has a distinct balance of these doshas and our health depends on maintaining a healthy balance between all three energies. Panchakarma is ultimate and most effective healing experience in the science of Ayurveda. WHO MAY BE IN NEED OF A PANCHAKARMA? What One World Ayurveda PANCHAKARMA offers? The vegetarian Ayurvedic balanced meals were not only all organic and highly nutritious, they were absolutely delicious! I ate loads of healing and nourishing herbs and spices in vegetarian curries, dhal, kitchari, rice, grain and an abundance of nutrient dense vegetables and moderate amounts of fruit. Every meal was balanced with all flavours - salty, sweet and sour - which helps to eliminate cravings. All meals were easily digested and left me feeling satiated. I was never bloated, just completely satisfied. Breakfast lunch and dinner was served at the same time everyday and I can confidently say that my digestion hadn't felt so good in years! I feel as though it was the reset my system needed to be able to process, absorb and ultimately digest food for optimal energy. The treatments left me feeling like I was floating on a cloud. To be honest I cried during several sessions as I felt so nurtured and loved by the beautiful staff releasing tension from my temple. Below is a more detailed description of one of the treatments I received daily - Abhyanga. Abhyanga — the ayurvedic oil massage — is an integral part of the daily routine recommended by this healing system for overall health and well-being. It is nourishing; pacifies the doshas; relieves fatigue; provides stamina, pleasure and perfect sleep; enhances the complexion and the luster of the skin; promotes longevity; and nourishes all parts of the body." Abhyanga provides the means for transdermal absorption of the healing qualities of the material used in the massage, and it helps the skin, which is the largest organ in the body, perform its diverse functions efficiently, whether it is allowing toxins to be released from the body or nourishment to be absorbed by the tissues. Whilst you are detoxing during your entire stay, you will be prescribed a more in-depth purge/detox treatment mid way through your stay. I received herbal infused oil enemas as part of my detox protocol and found the treatment to be surprisingly relaxing. I did not feel any discomfort at all - though I have previously received enemas, so I was familiar with the process and sensation. The Basti's (herbal oil enemas) have enormous benefits, especially in complicated and chronic diseases. The herbal decoctions, oils, ghee or milk administered give highly positive effects, especially for Vata predominant conditions. The location is seriously phenomenal! I'm talking BREATH-TAKINGLY beautiful! The boutique resort is located in the healing hills of Ubud, Bali, surrounded by the most stunning rice fields IN THE WORLD. I felt connected with nature and completely grounded to mumma earth. I was able to breathe deeply and feel an overall sense of peace, calm and clarity. Talk about "NATURE HEALS". It's true what they say my friends. I also loved my personal safe haven (private room), it was extremely comfortable, clean, air-y and light filled with an authentic-Balinese-style. I was hoping to transport my bed with me when I left - it was one of the cushiest, cosiest of beds I have ever slept in! My large balcony also offered an amazing view of the gardens, the perfect place to journal and read during my free-time. I was so looking forward to doing this retreat because as much as I try to live and practice a healthy and balanced life with the foods I eat, to the ways in which I move my body and consciously adopt a positive mindset, I still suffer from toxic overload in my life. Now, I'm not only referring to the toxins I/we can be exposed to if drinking unfiltered water, breathing toxins from the pollution in the air, consuming and absorbing synthetic ingredients from food and skincare... I'm also talking about the impact our mental wellbeing has on our health if we are energetically out of balance. I like to believe that I am generally a "healthy and happy" woman who is conscious of how to nourish my body and soul, however, truth be told, I still experience bouts of depression, anxiety and ill health. Within the past 2years I've been challenged with intestinal parasites, candida, fatigue, infections and more, yep the list really could go on! I often feel completely overwhelmed by my "to-do lists", my self created work load in addition to the everyday responsibilities and pressures of functioning as an adult in today's fast paced, somewhat disconnected world. Upon arriving to the panchakarma, I learned after two in depth consults with the extremely knowledgeable and professional Indian Ayurvedic doctors, Dr Ninu and Dr. Aparna that my predominant dosha is Pitta-Vata and I was showing symptoms of a Vata imbalance. Yep - made sense to me; hello racing mind, flightiness, anxiety and digestion issues! It was time to ground baby.. time to calm my nervous system and feel connected to the earth and my body. So I embarked on, what felt like a month long, 8-day Panchakarma. I followed all of the retreats suggestions and did a digital detox, moved slowly and I even avoided the sunshine and swimming in the very inviting pool (exposure to the elements needs to be minimised to reap the full benefits of a panchakarma). I started my days at 6am with tongue scraping and oil pulling followed by meditation, yoga, spa and detox treatments and doctor consults. The utterly delicious organic Ayurvedic meals were served at the same time each day, to be enjoyed in the communal dining area with the other guests, or in the privacy of your own room or balcony. It was effort-lessly easy (which is obviously the point) to follow the daily schedule as you are also constantly guided and reminded by the warm, friendly and straight up adorable staff of your spa appointments and meal times. The retreat location put me in a state of complete awe and appreciation for nature and its beauty. I have absolutely no doubt the lush greenery and calming hums of nature and wildlife was an integral part of me being able to fully relax and feel at peace within. By the third day of my stay, I was really feeling the energetic shifts taking place. My body and mind started to slow right down. It was actually quite a foreign feeling to me, but welcomed with an open mind and heart. As healthy and radiant as my temple was feeling from the love and care of all treatments, I also felt somewhat lethargic as my body released toxins and processed the energy shifts taking place on a soul/spirit level. I had more than one emotional release... the build up of tension and anxiety kept streaming out of my being in the form of tears (lots of them!) usually followed by a nap! As for the physical effects on my temple, my skin felt soft-as-a-baby's-bottom! Really, it did! This was no doubt the result of the deeply nourishing and moisturising organic herbal oils and scrubs I was being lathered in during my treatments. I was glowing on so many levels... my eyes were clear and my body felt light and lean. The inflammation and bloating I was carrying prior to my arrival at One World Ayurveda completely disappeared within 3 days of the retreat. It was such an expansive, light, fresh and free feeling to know my body was functioning optimally. Energy wise, I did feel rather exhausted a lot of the time, but I learned this is completely normal as the retreat allows your body the time it needs to rest post detox treatments. I also felt like I was on an emotional rollercoaster. I was extremely in-tune with my vibrational state of being and I felt hyper sensitive... so yes, as I mentioned above, there were tears and epiphanies galore. All part of the healing process. Some days I felt like I was floating on a cloud others I felt like I could barely keep my eyes open or string a sentence together. I can confidently say that I felt more connected to self than I have in a veryyyy longggg time and trusted the process. By the last two days of my retreat I felt like a new person. I felt completely supported, held, nurtured and loved during my stay. I was able to totally switch-off and relax, like next level, ZONE OUT- LIVE IN THE PRESENT MOMENT-RELAX. My mind had the chance to slow down and my word, it felt incredibly healing to stop and just breatheee. The Panchakarma helped me to understand the importance of really and truly slowing down to practise self love and deepen my connection with my mind and body. I felt extremely grateful for the opportunity to cleanse and detoxify my temple on so many levels which resulted in profound shifts, mentally, emotionally and physically. I could go on but I don't think I can fully explain the benefits of this phenomenal retreat, I think they need to be personally experienced to be appreciated! I would highly recommend you invest in your greatest asset - YOU, your peace of mind, your wellbeing, your life and try this transformative retreat at some point in your life. As you know, I'm all about cultivating beauty from within and without by adopting healthier lifestyle choices.. and this One World Ayurvedic Panchakarma is the ultimate investment in self-love!